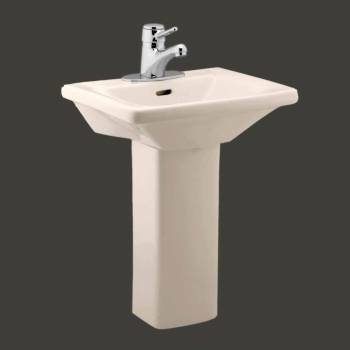 Child-size Pedestal Sink safe with easy-reach 21 1/2 in. H x 16 in. W x 12 3/4 in. proj.